More than 50,000 people are diagnosed with breast cancer in the UK every year, making it the most common type of cancer in the country. So what can be done to reduce the risk, and how are local services working to offer rapid diagnosis and treatment? These subjects and more will be covered on Tuesday 18th October, when Castle Hill Hospital in Cottingham plays host to a special event themed on breast screening and awareness. Carly Medlock, Health Promotion Officer for the Humberside Breast Screening Service, will deliver the presentation, which will also provide an insight into how the National Breast Screening Programme works. “Breast cancer is the most common cancer in the UK, so most of us will have a loved one who has experienced breast cancer, or at least know someone who has. 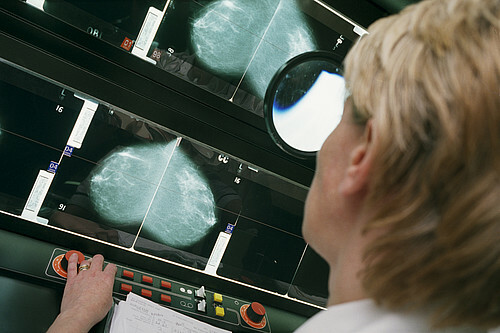 “Self-checks and regular, high quality screening both play a vital part in reducing a person’s risk of developing breast cancer as they can help to identify changes early on, enabling health professionals to take any appropriate action at an early stage. With breast cancer, the earlier any changes are spotted, the better the outlook for that particular person. “Being alert to changes is equally as important for men, of course, as whilst many people may think of breast cancer as only affecting women, somewhere between 350 and 400 men are also diagnosed with breast cancer every year in the UK. “At our October event, we’ll be looking at the National Breast Screening Programme in more detail, such as who is eligible to take part and when, as well as what to do if you identify any changes or need support with issues related to breast cancer.